Tall Tree Integrated Health provides Physiotherapy, Chiropractic, Naturopathic Medicine, Occupational Therapy, Massage Therapy, Custom Orthotics, Acupuncture,Concussion Therapy, Hydrotherapy, Kinesilogy, Counselling, Seniors Fitness, Yoga Classes and Guided Meditation in Cordova Bay - Victoria, BC. Our team of health professionals provide treatment for a large variety of conditions including stroke, chronic pain, concussion, injuries from motor vehicle accidents, post-surgical rehabilitation, spinal cord injuries and more. We insist on growing as clinicians through reflective practice, ongoing education, and a constant eye on the enormous amounts of emerging research and literature. This shapes our decisions as a clinic, it is the fuel for us striving towards mastery, and it shows in how we listen, empathize, and work with each patient as a friend. We take our passion to the point that our clinical practice and ongoing learning scratch an itch that makes us smile. There's a clinic mandate here to have fun at work. Tall Tree Integrated Health provides Physiotherapy, Chiropractic, Naturopathic Medicine, Occupational Therapy, Massage Therapy, Custom Orthotics, Acupuncture and Kinesilogy in the Cordova Bay area of Victoria, BC. Our team of health professionals provide treatment for a large variety of conditions including stroke, chronic pain, concussion, injuries from motor vehicle accidents, post-surgical rehabilitation, spinal cord injuries and more. The health professionals at Tall Tree Integrated Health are dedicated to clinical excellence, caring and fun. 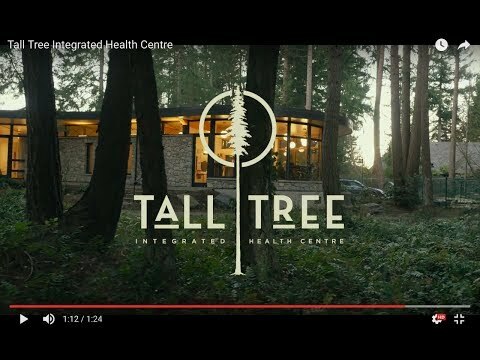 Tall Tree Integrated Health Centre provides the highest quality of health services in a purpose-built clinic on a beautiful wooded corner of Mattick’s Farm in Cordova Bay - Victoria, BC. If you're simply interested in maintaining your general health and wellness, join us at our beautiful facility at 5325 Cordova Bay Road in Victoria, BC where we also offer personal training, yoga classes, guided meditation, counselling as well as hydrotherapy. Tall Tree Integrated Health Centre was founded by Bradley Jawl in 2015. Bradley’s practice ranges the whole spectrum of musculoskeletal conditions. His main focus areas include spinal pain, shoulder disorders, hip and knee disorders, chronic pain, spinal stenosis, vestibular dysfunctions, and ACL rehabilitation. Bradley has completed the Doctorate in Physiotherapy with the Evidence in Motion Institute of Health Professionals. Steve recognizes physiotherapy as a profession that empowers patients to improve through an active approach to recovery. Along with maintaining a full-time musculoskeletal practice, Steve is a regular guest lecturer at the University of British Columbia’s physiotherapy program and is a regular clinical instructor for students from across Canada. He has been published in a number of journals and previously served as Chief Editor for the Orthopaedic Division Review from 2005 to 2007. Steve was recognized for his clinical achievements in 2014 when he was chosen to receive the award for clinical excellence from the Physiotherapy Association of British Columbia. Steve has recently completed his Doctorate of Physical Therapy. Curtis works with all types of clients. Sports injuries, chronic pain conditions, and neurological disorders are all within Curtis' area of expertise. While he maintains a diverse interest in treating all types of conditions, Curtis particularly enjoys focusing on spinal pain, headaches, hip, knee and ankle conditions, sports injuries, temporomandibular dysfunction, chronic pain, diabetes-related conditions, vestibular disorders, stroke and spinal cord injuries. Curtis has completed the Doctorate of Physical Therapy, which focuses on evidence based practice in the clinical science of physiotherapy. Matt has enjoyed a variety of clinical experiences, having worked at a neurological rehab clinic as well as in a musculoskeletal setting. His clinical reasoning and scope of understanding has benefited from these varied exposures. Matt is drawn to the team of physiotherapists at Tall Tree because of their evidence-lead practice and their focus on client-centered care. Dr. Schauch believes that true health and wellness is achieved by identifying the fundamental cause of disease through one-on-one patient care. By removing physical, mental or emotional barriers to health, she passionately believes that this can be achieved. Dr. Schauch's scope of practice includes Clinical Nutrition, Botanical Medicine, Acupuncture, Lifestyle Counseling, ELISA Food Allergy Testing, IV Vitamin and Mineral Therapy, Chelation Therapy, Neuraltherapy, Heavy Metal Testing, Bioidentical Hormone Therapy and Hormone Testing. Kevin assists clients in managing a wide variety of acute and chronic musculoskeletal conditions. This includes stress and pain management, sports injuries, headaches, low back pain, neck/shoulder tension, and treatment to enhance recovery and relaxation. His clients include, recreational athletes, Olympic athletes, seniors, and teens. Therapy and techniques utilized include assessment, deep tissue massage, soft tissue release, trigger point release, joint mobilization, myofascial release, and therapeutic exercise. Kevin has a particular interest in yoga therapy and creates a holistic approach for recovery and maintenance to align with specifics of each client. Chelsea believes in the importance of using of orthopedic testing to find which areas of the body need treatment and has the ability to apply affective treatment modalities and well as homecare to help return proper function of the body. Techniques often used in treatments may include, but are not limited to, Myofascial release, deep tissue massage, joint mobilizations, soft tissue release, and exercise prescription. She enjoys assisting clients of all ages with management of chronic and acute musculoskeletal injuries, pain and stress management, and general tissue maintenance. Bruce's treatment approach looks at the complex interaction between the biological, psychological and social factors that underlay pain. This greatly influences how he thinks and feels about pain, and consequently how he treats patients with pain. For Bruce, his patient’s comfort is always paramount. He provides a safe and calming environment, and listens attentively to each individual’s story without judgment. Along with educating his patients, he uses a variety of techniques to try to decrease any perceived threat to the nervous system and utilize science-based best practices to treat the neurophysiology of pain. His patients always leave feeling like they’ve been worked on, without feeling like they’ve been worked over. After many years of teaching yoga, Sarah decided to delve deeper into learning about the body. In 2014, she decided to go back to school for massage therapy. Graduating from the Canadian College of Massage and Hydrotherapy in spring of 2016, Sarah is excited about where her career as a massage therapist will take her. She is excited about her new home at Tall Tree Integrated Health Clinic in Cordova Bay Victoria. Lucy's areas of interest include: women’s health, pediatrics, Dr. Tan's Balance Method, and the treatment of emotional stress. Lucy is particularly passionate about Qigong, which is an ancient movement practice that enhances the mind-body connection, builds energy levels, and calms the mind. She is registered with the College of TCM Practitioners and Acupuncturists of British Columbia (CTCMA) as well as a member of the Association of TCM and Acupuncture of BC (ATCMA). Through personal and professional opportunities, Martina has developed an interest for working with cognitive rehabilitation, particularly with Stroke and Traumatic Brain Injury. Martina has a passion for fitness and yoga and has worked as a fitness instructor teaching a variety of land and aquatic based programs. At Tall Tree Integrated Health, Martina uses her training as an occupational therapist in conjunction with her training as a yoga therapist and fitness instructor to work with clients to improve their movement, decrease their pain, & release stress from the body and mind. As an Occupational Therapist, Devon has developed experience and a special interest in supporting people with concussion related issues. 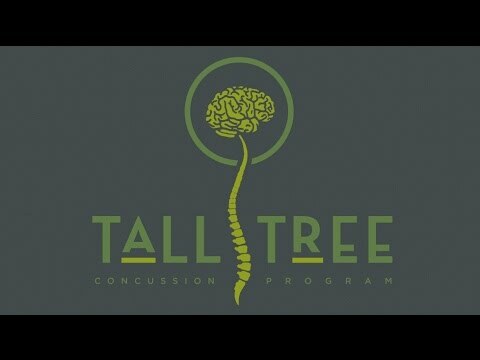 Combining a keen drive to advance clinical practice and a desire to enhance the quality of treatment for concussion, Devon has come to Tall Tree to help build the best concussion program in Victoria. Prior to joining Tall Tree, Devon previously worked as a community occupational therapist and case manager supporting people with musculoskeletal injury, concussion (and other brain injury), chronic pain, mental health issues, wheelchair and equipment prescription, ergonomics, functional assessments and assistive technology needs. Dr. Benn Drysdale's passions lie in the treatment of muscular and spinal conditions. He particularly enjoys working with low back pain, neck pain, headaches, dizziness, TMJ disorders, as well as sport-specific treatment for climbers, skiers and triathletes. In addition to these areas, Benn immensely enjoys treating and educating on chronic pain conditions, sport performance nutrition, healthy aging, treatment of osteoarthritis, post-stroke, and the care for populations with Autism and Cerebral Palsy. Dr. Benn is a lively, open, good natured and intrinsically driven athlete/Chiropractor with a ready smile and a hearty laugh. Jeremy loves working with people and helping them achieve their goals. He is unendingly enthusiastic about learning new approaches and skills to deepen his knowledge around how to help clients along their road to recovery. He performs a variety of assessments and treatments including Functional Capacity Evaluations, Soft Tissue Release therapy, fitness training, and specific exercise therapy for a number of conditions and populations. He believes in partnering with patients and motivating them to take their health to new heights. Laura is a Registered Mental Performance Consultant through the Canadian Sport Psychology Association (CSPA), as well as a Registered Clinical Counsellor (RCC) with the BC Association of Clinical Counsellors (BCACC). As a former elite athlete herself, Laura has experience working with athletes of all levels, helping them build the necessary mental skills required for sport and everyday life. Helping patients set safe and realistic goals, build motivation, confidence, self-awareness, and the ability to self-regulate are at the heart of Laura's work. Some of her research interests include exercise adherence and attrition, motivation, self-efficacy, self-regulation, and behaviour change. David has specialized in exercise rehabilitation and adaptive fitness for over 30 years. He works in one-on-one and group rehabilitation settings, working with people who have been injured at work, in motor vehicle accidents, in sports related activities, and recovering from surgical procedures. David also has experience with individuals with Parkinson’s, MS, and other neurological problems including stroke recovery. His passion is to assist those with injuries to gain control and function in their lives through evidence-based biomechanical treatment and exercise prescription both in dry land and aquatic environments. Chantelle has been working in the active rehabilitation field on the peninsula for 10 years. During this time, she has helped a variety of people through the development of strengthening programs, personal training, and athletic performance development. Chantelle integrate both pool and land programs for painful or delicate conditions such as arthritis, motor vehicle accidents, pre- and post-surgical programs, fibromyalgia and neuromuscular conditions. Chantelle’s pursuit of knowledge and love of helping others eventually led her to become a Registered Acupuncturist with the College of TCM Practitioners and Acupuncturists of BC.